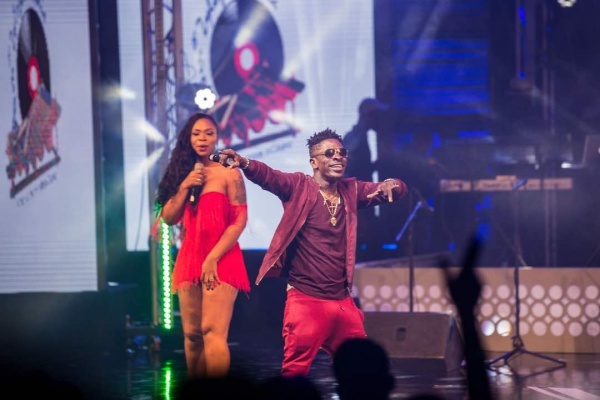 It appears the dust may never settle on the fracas between Stonebwoy and arch-rival Shatta Wale. 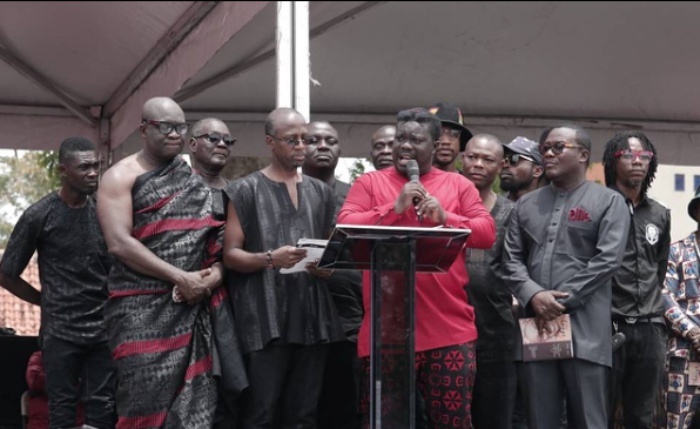 Zylofon Media label boss, Nana Appiah Mensah brought the two together at an event in Kumasi but the warlords are yet to find the peace pipe to even think of smoking it. 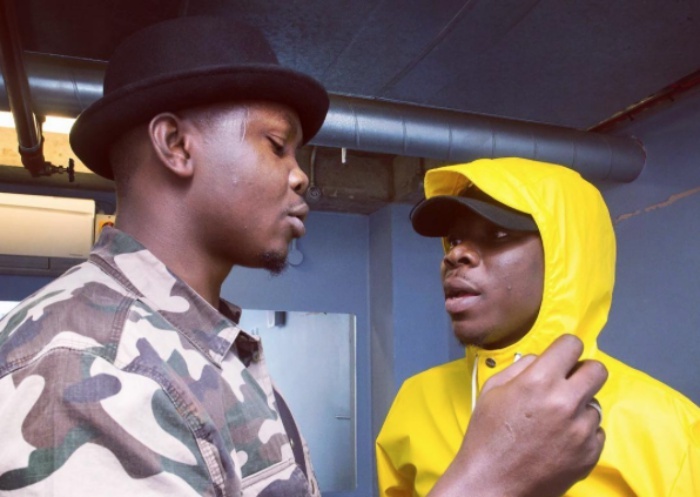 Clearly, Stonebwoy indicated that he was not ready to bury the hatchet. 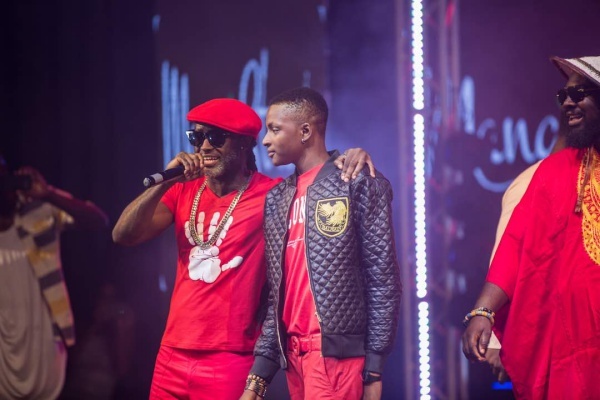 While the boss of Burniton Music was on tour in July, a Twitter user believed to be a fan of Shatta Wale accused Stonebwoy of murdering his mother. The BET award-winner lost his temper, angrily replied his accuser and dared the user to confront him with that claim. Stonebwoy in his interview on Hitz FM on Sunday suggested that Shatta Wale was the mastermind behind the allegation that he killed his mum. 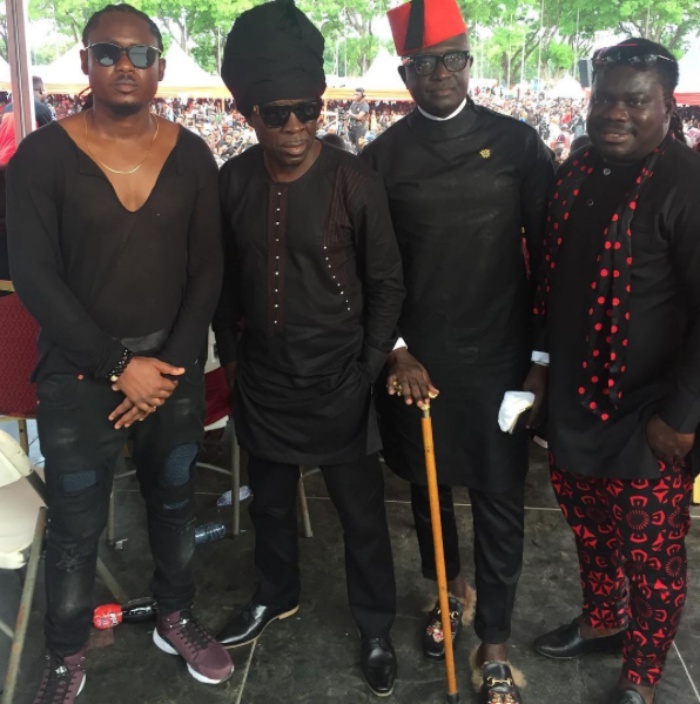 He also warned Shatta Wale to desist from discrediting other artistes while pretending to preach peace. 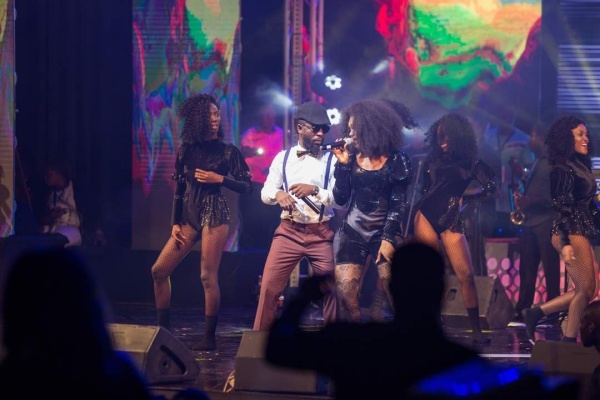 The 8th edition of the annual Empire Entertainment organised event, Ghana Meets Naija, was successfully launched on Tuesday, May 8th in Accra at the First Atlantic Bank forecourt at Airport. The musical event is slated on Saturday, June 9, at the Fantasy Dome of the Ghana International Trade Fair Centre. 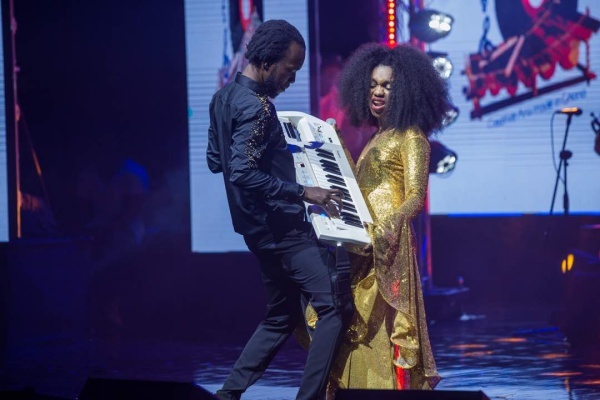 Over the years, Ghana Meets Naija has been known as the platform for the biggest artistes in both Ghana and Nigeria to share one stage and thrill music lovers. 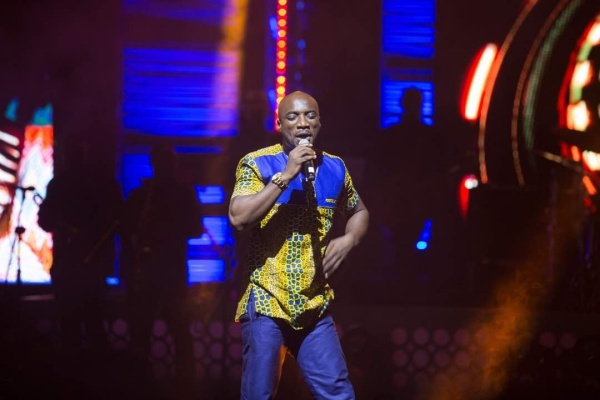 It has always seen massive patronage because of the list of top African acts it parades. 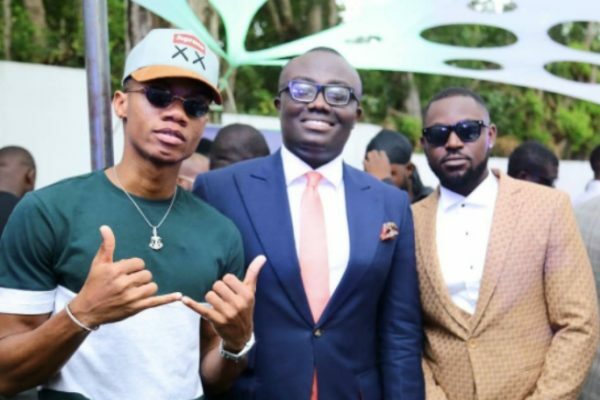 Performing artistes from Ghana include dancehall act Stonebwoy, King Promise, Kuami Eugene, KiDi, Fancy Gadam, Patapaa and Yaa Pono who are known for their show stopping performances and representing Nigeria are Wizkid, Mayourkun and Mr Eazi were all made known at the press launch. 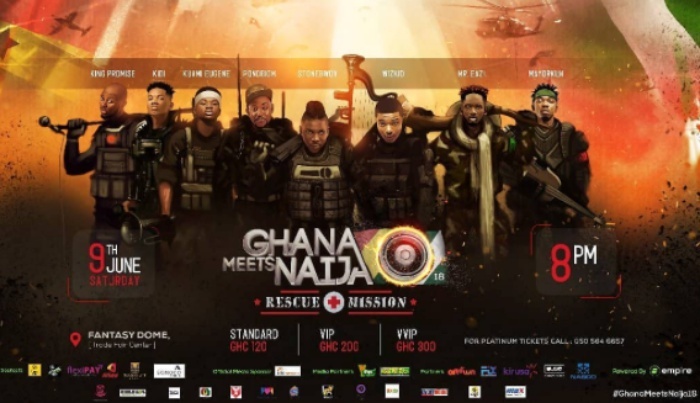 In its 8th year, Ghana Meets Naija is the biggest concert in the region that brings artistes from the two countries together and Shatta Wale is the only Ghanaian artiste to long perform on the stage five times in a row but will be missed this year. Replacing him is CEO of Burnington Music, Stonebwoy, who will lead the Ghanaian acts to the battlefield in music. 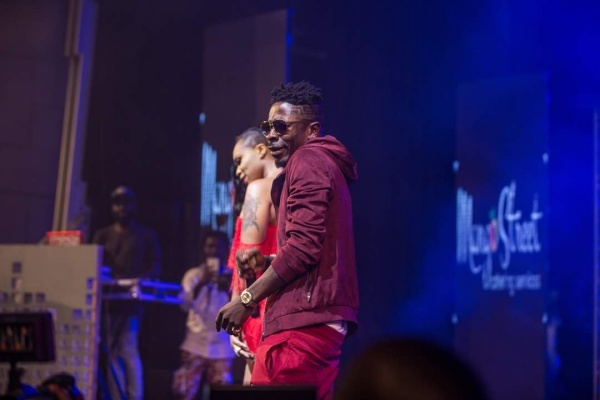 After a night of captivating musical performances from a tall list of artistes at last year’s 7th edition of Ghana Meets Naija, Shatta Wale was voted King of the concert, where the self-acclaimed Dancehall King as usual, connected well with the crowd as he performed his popular hits including Dancehall King, Bie Gya, Chop Kiss, Reality, Ayoo, Hosanna, Taking Over with a surprise stage performance of Low Tempo with his baby Mama Shatta Michy. 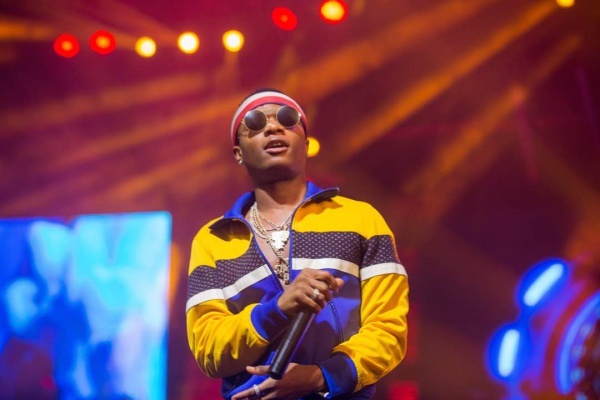 Usually oversubscribed, it has over the years hosted the likes of Wizkid, The Mavins headed by Don Jazzy, Tiwa Savage, Wande Coal, Neato C, Olamide, Sarkodie, Shatta Wale, R2Bees and a tall list of A-list artistes. 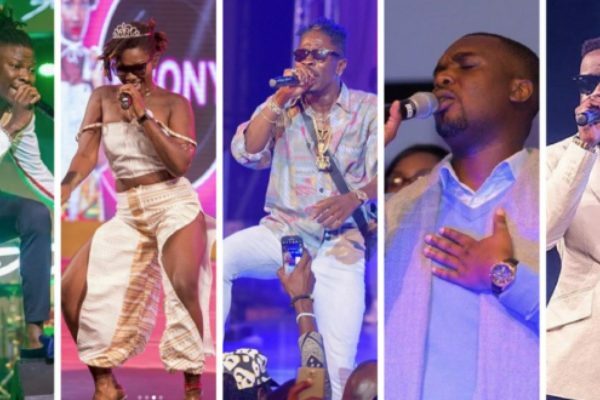 WHO WINS VGMAs 2018 ‘ARTISTE OF THE YEAR’? Tick tock, tick tock, tick tock…that is the clock ticking towards 14th April 2018. 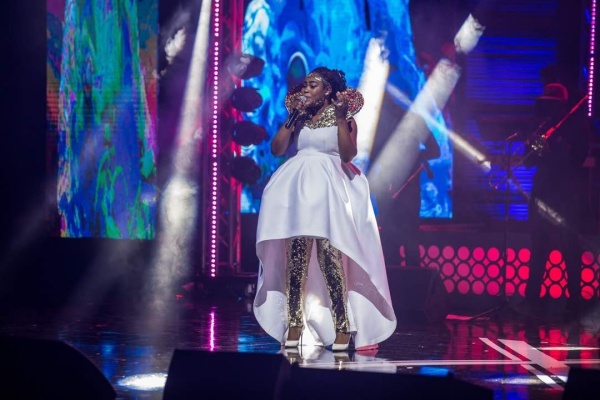 On that night the whole music industry would gather, once again, to reward those who did well in 2017 and are deserving of picking awards at the 19th edition of the Vodafone Ghana Music Awards (VGMA). Let me start by saying that the practice of predicting who wins what at the VGMA over the years has been more an art than a science. In my time I have got some predictions right on the money and other times I have bungled it big time. In my long experience of covering the VGMA, I noticed that in some years the competition had been tougher than it was in other years. I think this year has one of the keenest competitions since the scheme started and everyone who got a nomination had to really work for it. There is absolutely no doubt that all these young men deserve to be nominated and there would be no surprise at all to me if any of them emerges as winner on the night. Do I have a favourite? Yes, but I am keeping my cards very close to my chest. However, my job here today is to talk about who would likely pick the top prize at the event on the night. 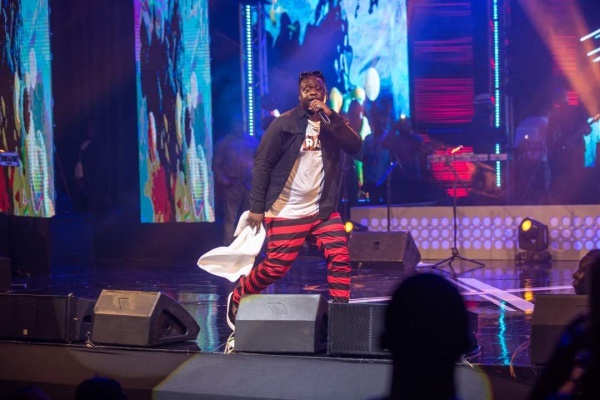 The top prize at the VGMA has for a while now been the Artiste of the Year award and over the years some of our greatest artistes have picked it. 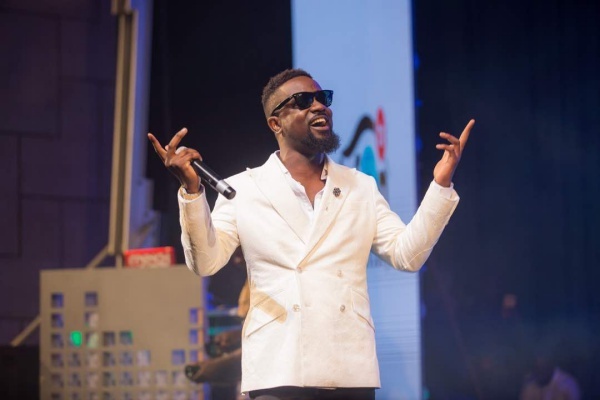 This year there are five artistes nominated; Sarkodie, Stonebwoy, Shatta Wale, Joe Mettle and Ebony. The big question is, which of these men and woman would emerge winner? Sarkodie: He has a ‘trophy’ cabinet bigger and glittering than that of Arsenal Football Club, if you get the football banter. 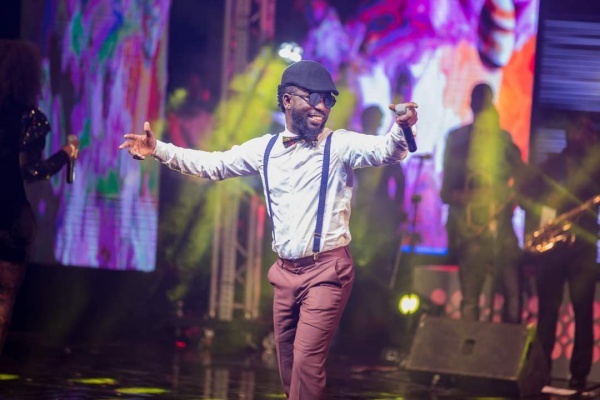 He has won so many awards in different countries and on the front of the VGMA, he probably has more awards from this scheme than any other artiste. 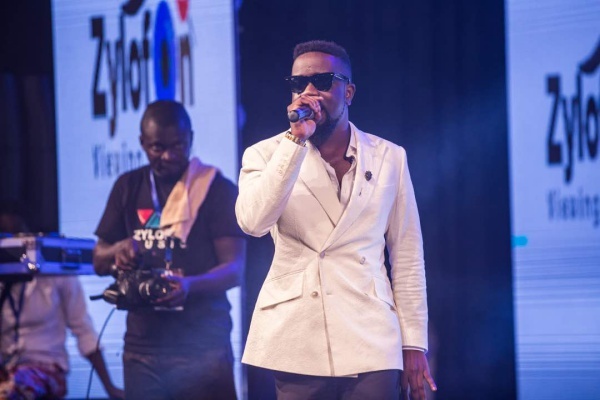 We have to wait for nine more days to know if King Sark, as he calls himself, would become the standard bearer of Ghanaian music (as far as the VGMA is concerned) should he manage to win his third Artiste of the Year award. Stonebwoy:Since he landed on the big stage and especially in 2014 when his big song Baafira was the favourite of almost every DJ and concomitantly the public at almost everywhere music was played, Stonebwoy has been nominated in this and other categories many times. Stonebwoy is big, he had a great 2017 with performances all over the world, buoyed by some good songs. However, the VGMA is a very difficult award scheme and this category is a tough one. 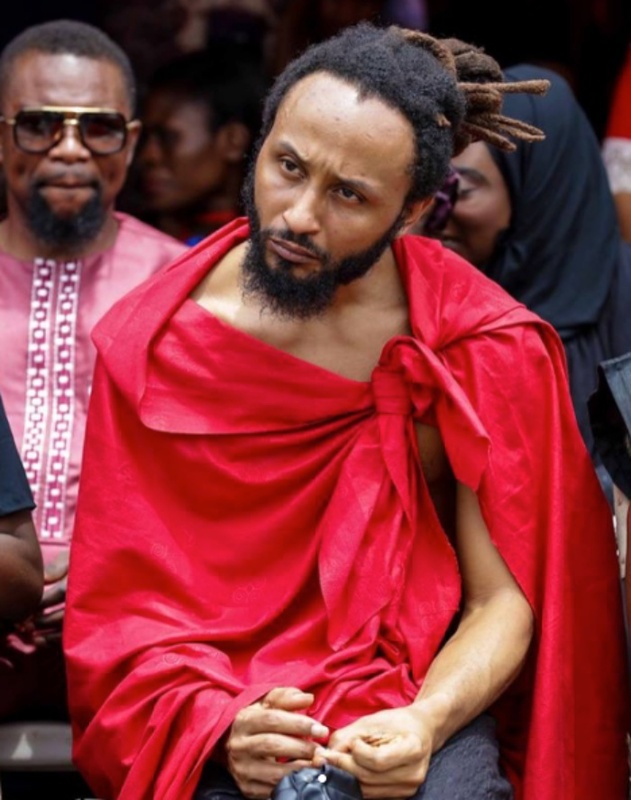 Shasta Wale : As we all know, Stonebwoy’s Zylofon Media stable mate, Shatta Wale had been off the VGMA for about three years. First because he said he should not be nominated and then later because he denigrated the awards and the board had put any nomination of him on ice. Joe Mettle:This particular category of the VGMA had a historic winner and that was Joe Mettle. 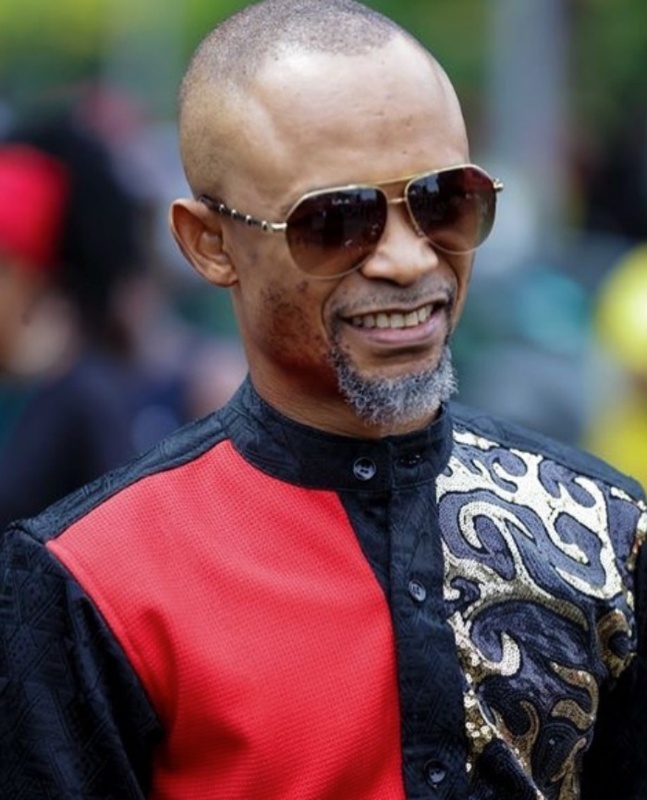 He was the first Gospel musician to pick that award and it was a big deal for the gospel community. We have had some of them come very close, including the likes of Daughter of Glorious Jesus, Prophet Seth Frimpong, Kwaku Gyasi and many others but none could pick it. The big question is, can lightning strike twice? Can a gospel music artiste and for that matter Joe Mettle, do a double take? 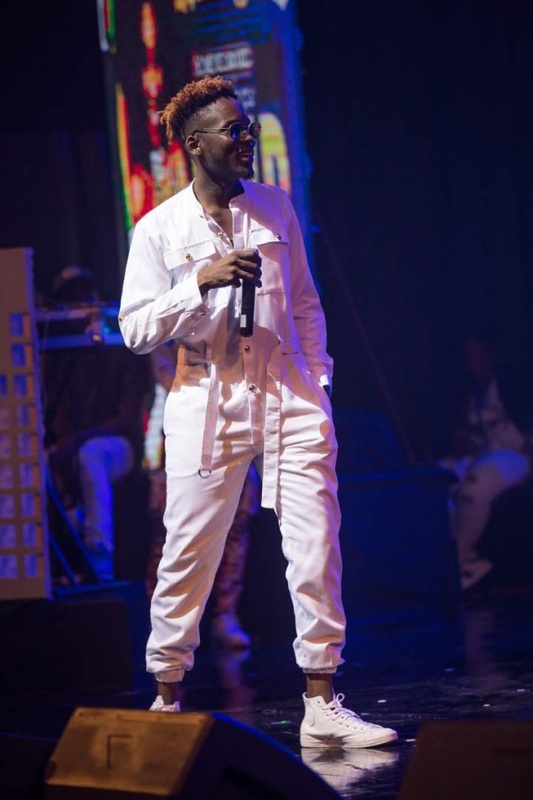 Can he be the first artiste to win a back to back Artiste of the Year award in two successive years? It will be a tough one, but children of God sometimes do wonders they may not know they can. We live to see what happens on the big night. 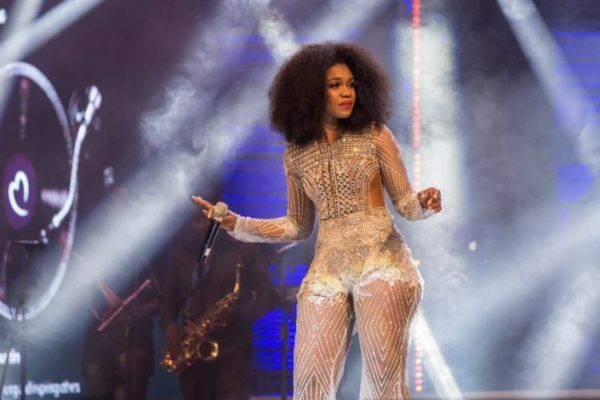 Despite her obvious absence, there are many who not only think, but even more are convinced that there is none in this category who deserves this award more than Ebony. There have been campaigns since November to award her with this particular award and her death has not reduced the fervour and clamour. The argument has been that she had the largest number of hit songs in the year, was all over the place performing and despite her demise she deserves it more than the rest. 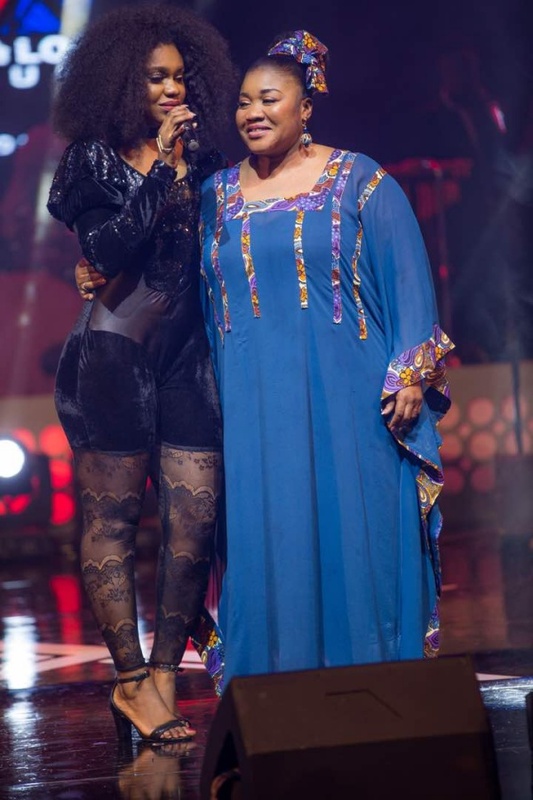 So would Ebony set two records as the first female to win this award and the first artiste to do so posthumously? Here so you have it my friends: Sarkodie could make it a treble, Shatta Wale, Stonebwoy and Joe Mettle could all make it double and Ebony could make it a single albeit from the grave! We shall wait to see on the night either being there physically or watching on TV3. 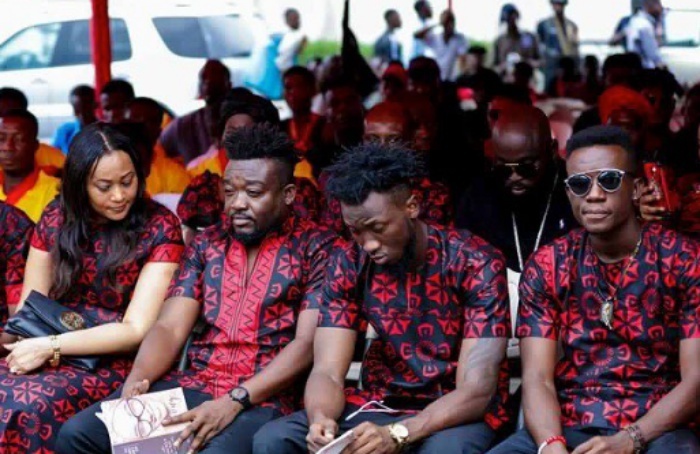 The final funeral rites of late Dancehall artiste, Ebony Reigns took place on Saturday March 24, 2018 at the forecourt of State House in Accra. The burial followed a successful tribute Concert that took place at the Trade Fair on Friday night, March 23, 2018. 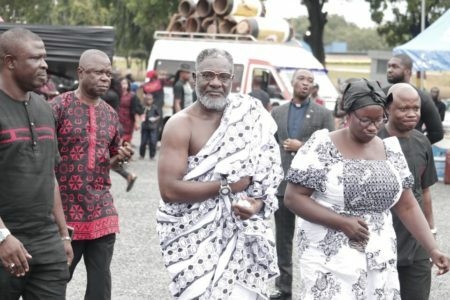 The final funeral rites of Ebony attracted high profile personalities, colleague musicians and the creative arts industry players. 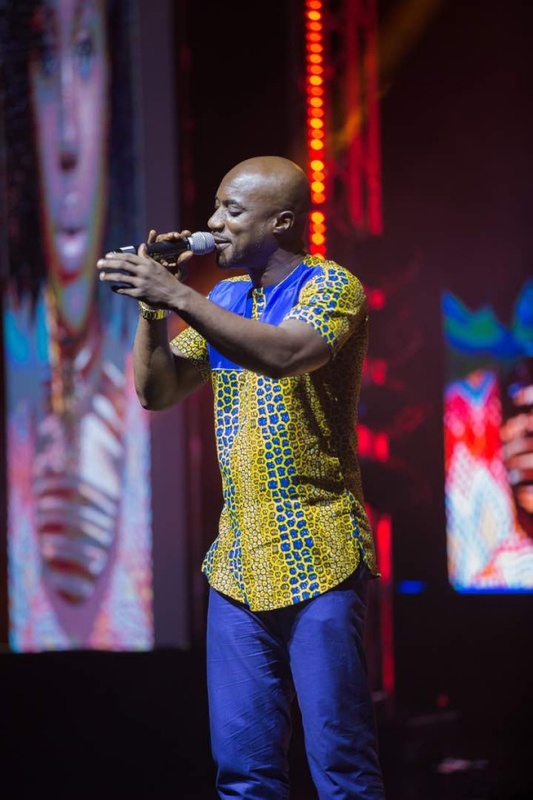 Stonebwoy, Amakye Dede, Abeiku Santana, Andy, Afia Schwarzenegger, Yaw Dabo, Kwaku Manu, Wanlov, Kojo Antwi, Patapaa, Ex-Doe, Samini, Country Man Songo, Serwaa, Obour, Rex Omar, Fadda Dickson, Kennedy Osei were among the many celebrities present. Top officials from the opposition National Democratic Congress (NDC) including, Ibrahim Mahama, Oko, Alfred Okoe Vanderpuije. 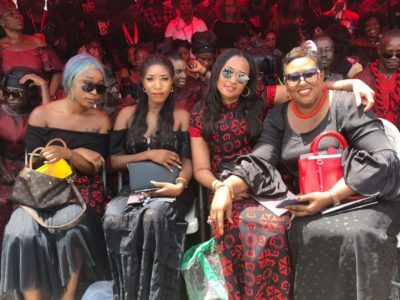 Oye Lithur, among others, also showed up in their numbers to commiserate with friends and family of the late singer. Minister of Tourism, Arts and Culture Hon. Catherine Afeku, and other government official were also present to represent the ruling NPP government. 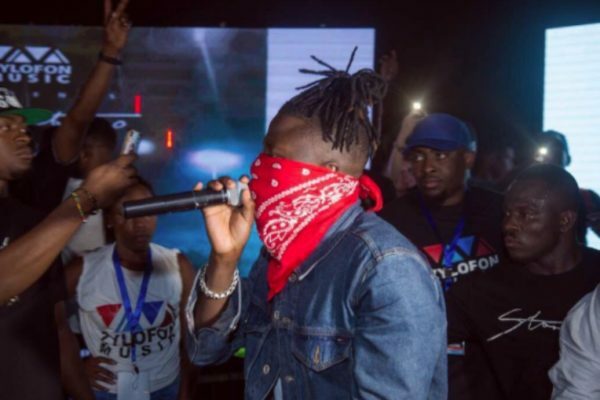 Stonebwoy offered some explanation to Hitz FM over the pandemonium that ensued over the allegation of Bulldog and the Zylofon posse wanting to seize his car and the gunshot he is said to have fired. He did not deny firing the shot and intimated that it was done in self-defense. “Do you know what self-defense means?” he asked the host. 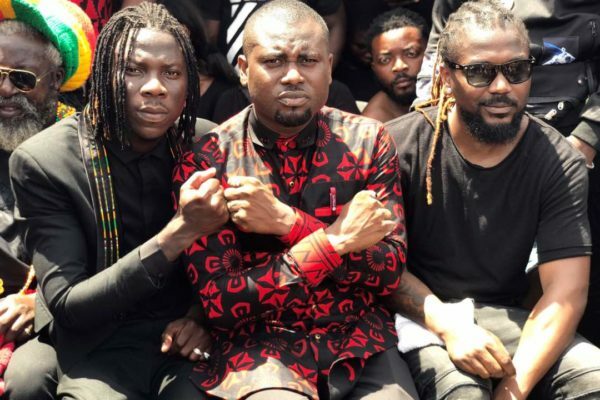 According to an eyewitness who spoke to Nkonkonsa.com, Stonebwoy was not on the scene when Bulldog and his men tried to forcefully take a Mercedes Benz car from Stonebwoy’s younger brother but he(Stonebwoy) angrily fired gunshots to protect himself and his people. 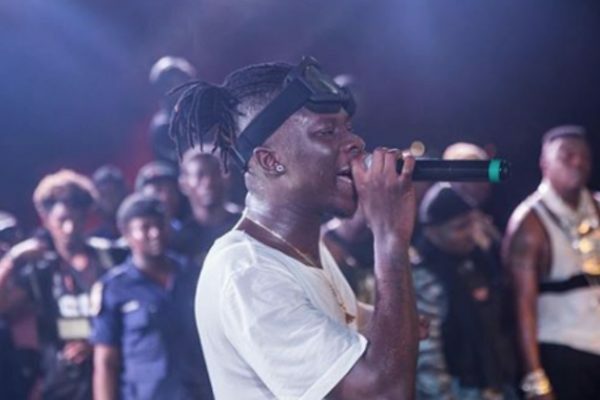 “Stonebwoy fired about 3 warning shots and he was very angry, shouting that who wants to take his car should come for it but at the time Stonebwoy came out and he was shooting, Bulldog and his people had left”, the eyewitness stated. Bull Dog and some unknown persons approached the ‘Hero’ Singer at Champs Bar inside Paloma Hotel in Accra on Saturday night March 10, 2018 to reportedly retrieve a Mercedes Benz car. 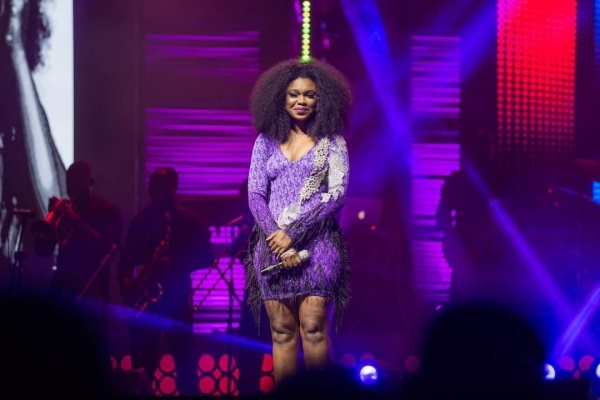 The much anticipated 10 years anniversary concert for Singer Rebecca Acheapong popularly known as Becca successfully happened at the National Theater on Saturday, October 21. 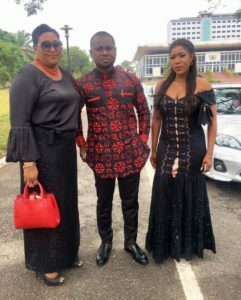 The event which had tall list of A-list Ghanaian and Nigerian musicians perform was honored by great personalities like Nana Konadu Agyemang, Kojo Antwi, Nana Adwoa Awindor, Iyiola Ayoade, Group CEO of Multiple Concepts Group and Charterhouse, Stacy Amoateng, Roselyn Ngissah, Toosweet Annan, Elikem Kumodzie and many others. Becca’s parents were also present their daughter on her big day. Her father Mr. Acheampong and his wife who is Becca’s stepmother sat through the show to watch their daughter and her friends entertain the audience. 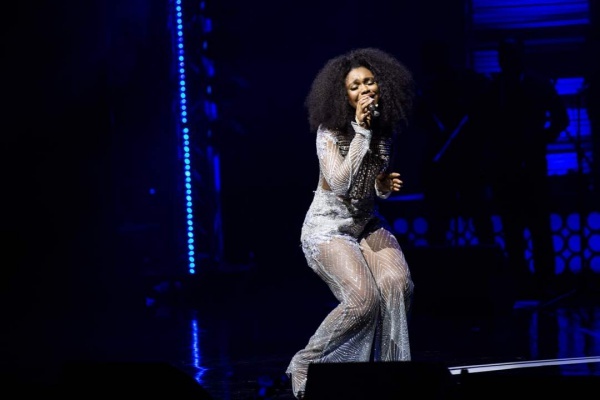 Artistes who helped to celebrate Becca at the concert included Bisa Kdei, MzVee, Kidi, Kuami Eugene, Sarkodie, Stonebwoy, Shatta Wale and Shatta Michy, Kwabena Kwabena, VVIP, Joyce Blessing, M.I Abaga, Wizkid, Patoranking, Wande Coal, Mr. Eazi, Ice Prince and many others. Zylofon Media, managers of dancehall artiste, Stonebwoy has revealed that they haven’t reported the attack on the musician’s wife to the police. 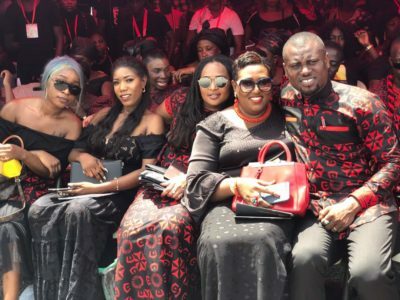 Sammy Baah, Public Relations Officer of Zylofone Media explained that they saw no reason to report the alleged attack on Stonebwoy’s wife, Louisa Satekla at the ‘Ashaiman to the World’ concert which was held over the weekend in Ashaiman. 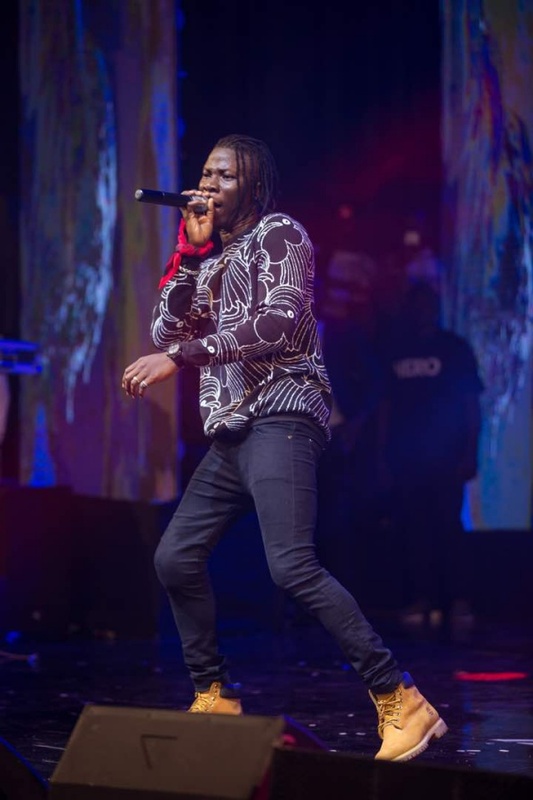 Stonebwoy and his wife were allegedly injured in a knife attack just moments before he took to the stage to perform at the concert. Unknown assailants cut through the tent in which the BET Award winner and his wife had lodged prior to the show. 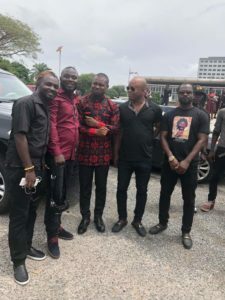 Mr Baah on Monday admitted on Hitz FM’s Day Break Hitz with KMJ that there were some loose ends in the measures taken to ensure the safety of Stonebwoy. 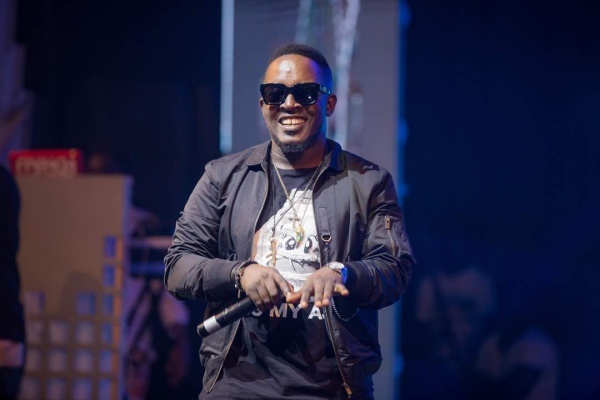 He added that these errors will definitely be rectified in order to avoid such incidents in the future concerts to be held by Zylofone Media. Sammy Baah, also known as Sammy Flex, claimed that it would have been pointless to have reported the incident to the police. 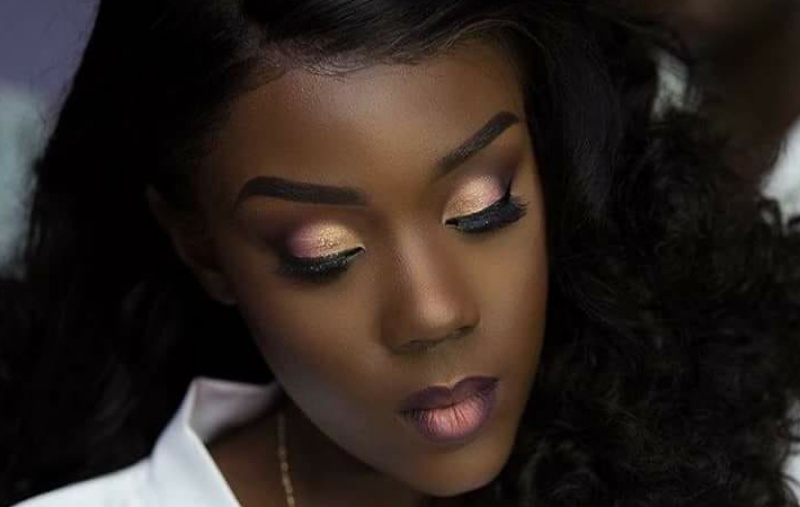 Wife of Dancehall act Stonebwoy, Dr. Louisa Ansong who was hospitalized after sustaining an injury as result of an alleged knife attack, has been discharged from the hospital. 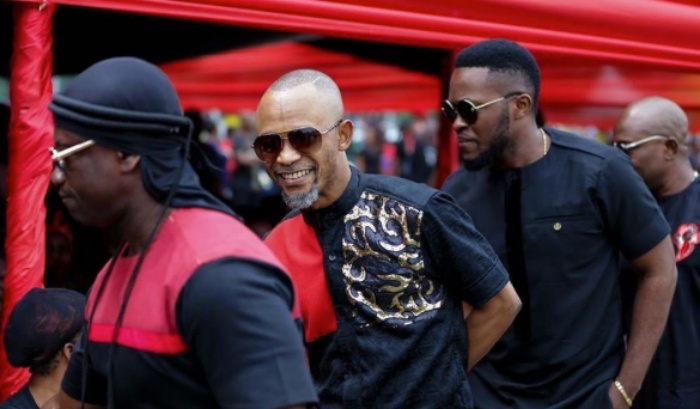 A management member of the “Baafira” hit maker tells Peacefmonline.com that Louisa was rushed to hospital on Saturday night September 30, after she felt a sharp cut at her back and started bleeding inside a tent meant for her and her husband. Thankfully, she was discharged from the hospital yesterday, Sunday October 1 and she is currently recovering in the comfort of her home. “She has been discharged and currently recovering at home. She is very well and thank God everything is fine now”, the source told Peacefmonline.com. 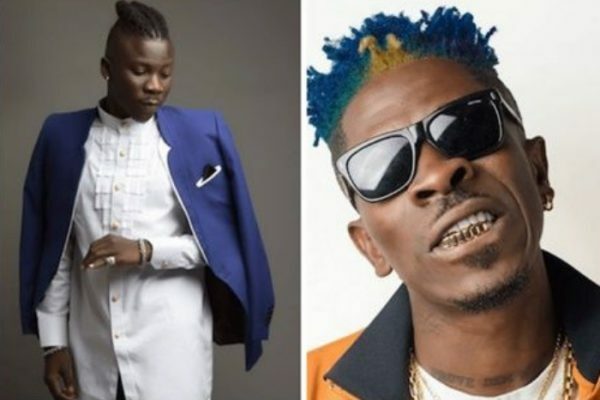 Stonebwoy’s management also dismissed rumors that Dancehall artiste Shattawale who was there to support Stonebwoy, could have a hand in the attack. 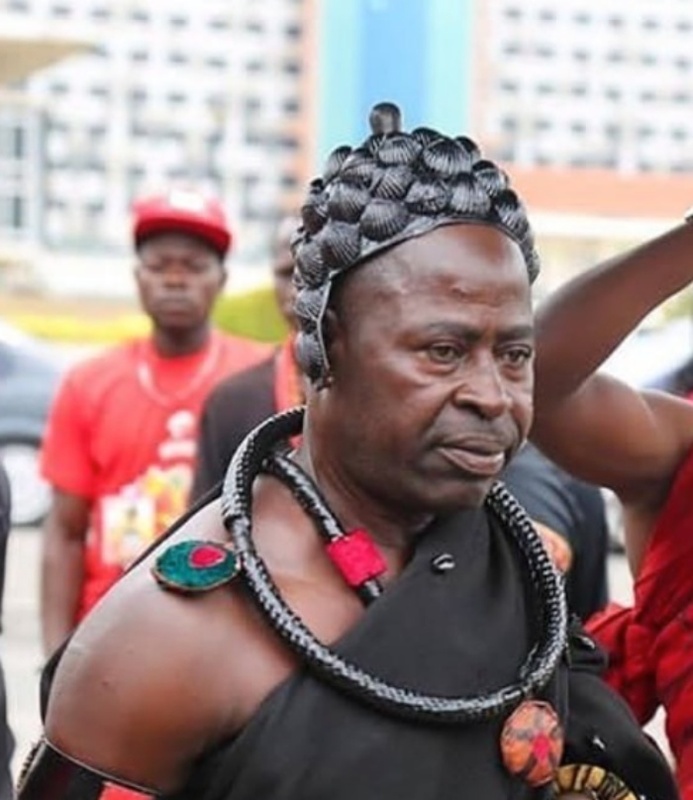 Management insists that, Ghanaians should stop drawing conclusions and making false judgments when things happen coincidentally making it clear that Shattawele doesn’t have any associations with the said incident. 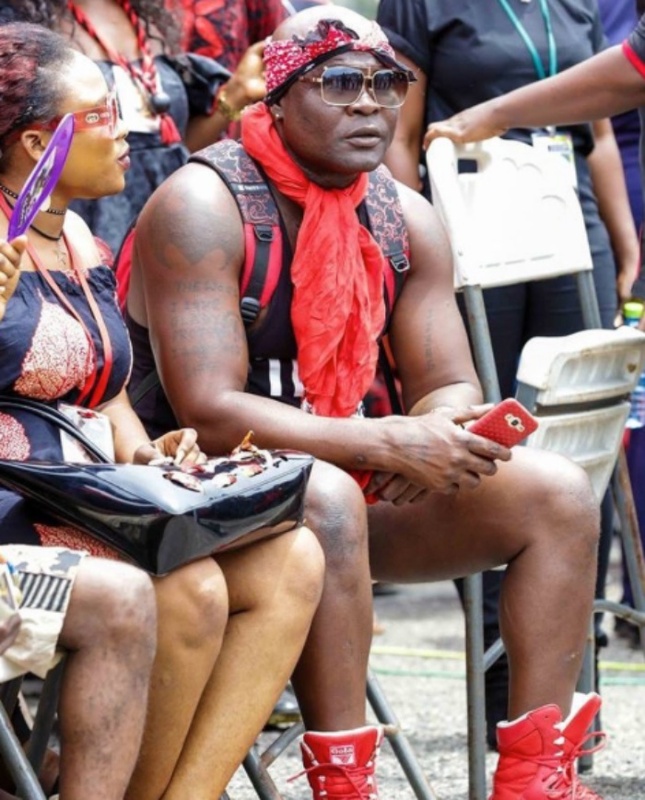 “This has nothing to do with Shatta Wale or his presence there. 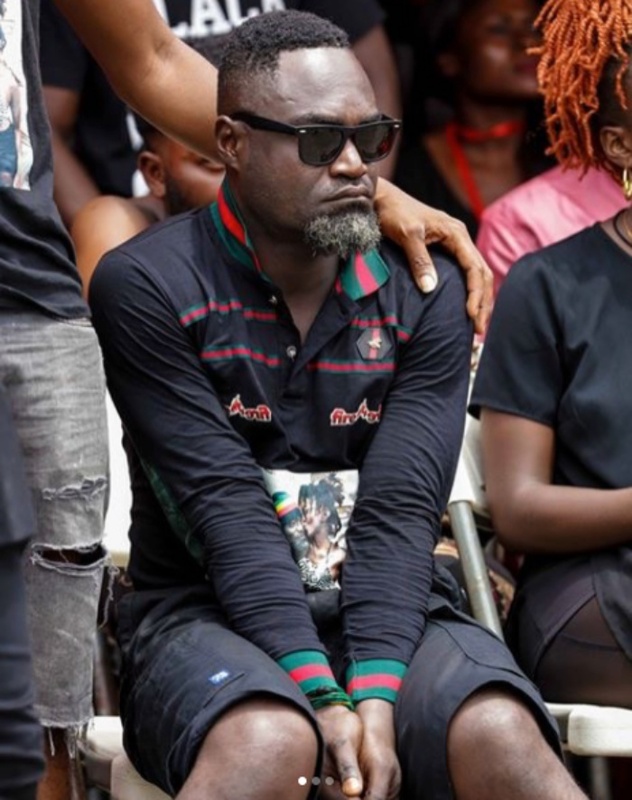 He genuinely came to support his brother and let me state that the incident happened over an hour before Shatta Wale come to the event”. Both management and family of Stonebwoy have been with Stonebwoy’s and his wife ensuring that everything is fine with her. Mrs. Satekla had a cut at her back when some criminals cut Stonebwoy’s tent with knife. 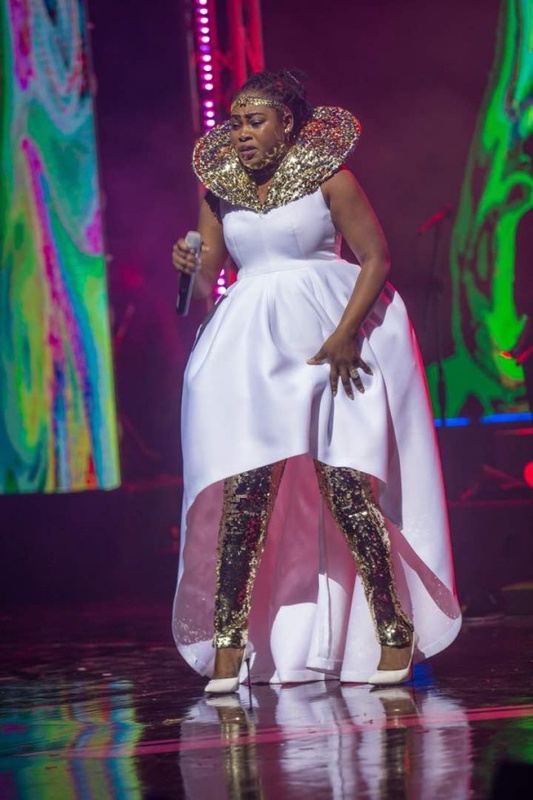 It happened just when Stonebwoy was about to mount the stage at his own “Ashiaman to the world” concert and she was hurriedly rushed to the hospital. 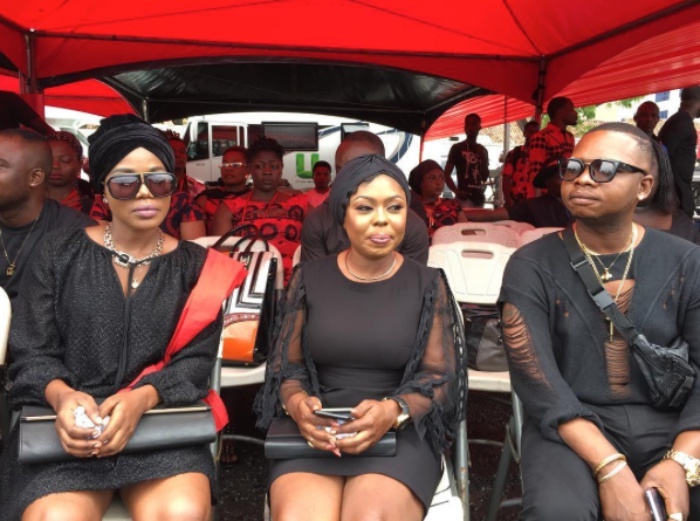 Stonebwoy who was able to entertain thousands of his fans, in spite of the bad news, rushed to see his wife immediately after his memorable performance. 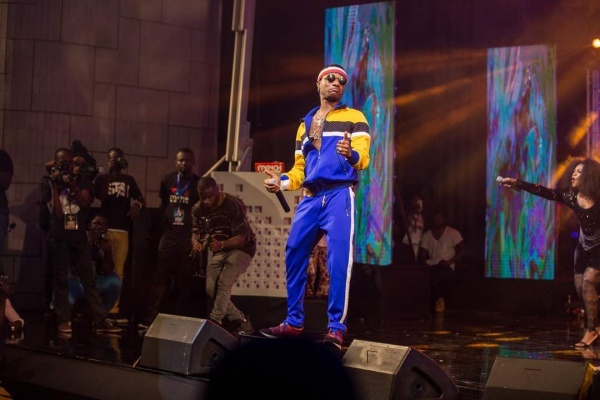 The concert happened on Saturday 30th September in Ashiaman with a huge crowd of bhimnation fans, cheering and dancing to all performances from all artistes who performed on the night. 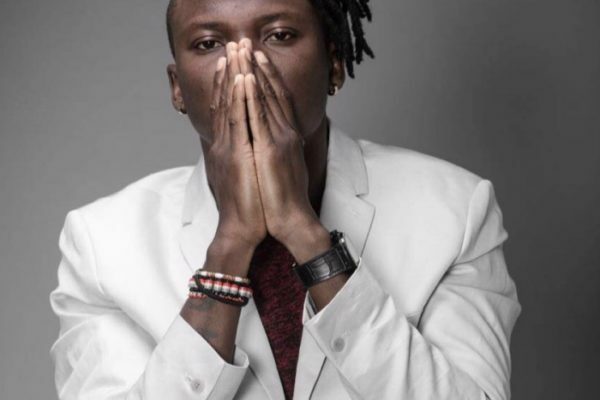 Stonebwoy confirmed the incident on his Instagram page immediately after the concert saying it was an attack targeted at him ‘‘attack targeted on me but mistakenly chanced on my wife but I still delivered for my people. #iwillfindem”. 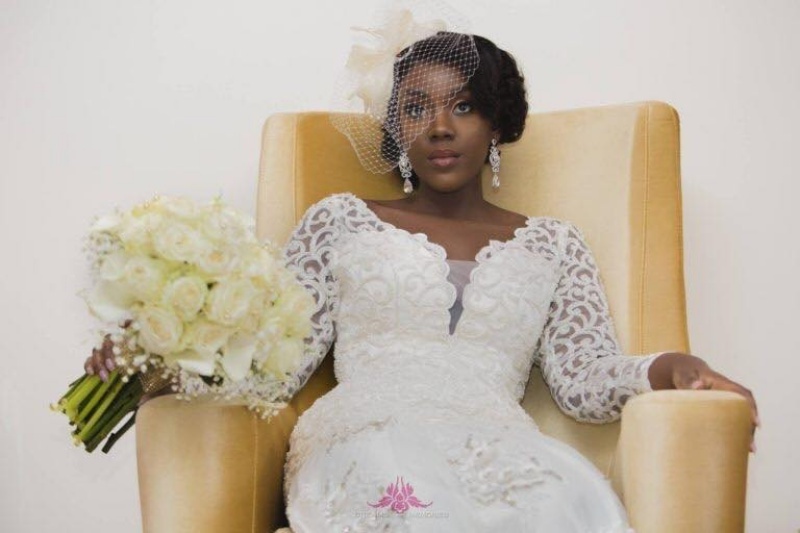 Management of award winning Dancehall Singer Stonebwoy has spoken after his wife sustained an injury as a result of a knife attack at his concert. 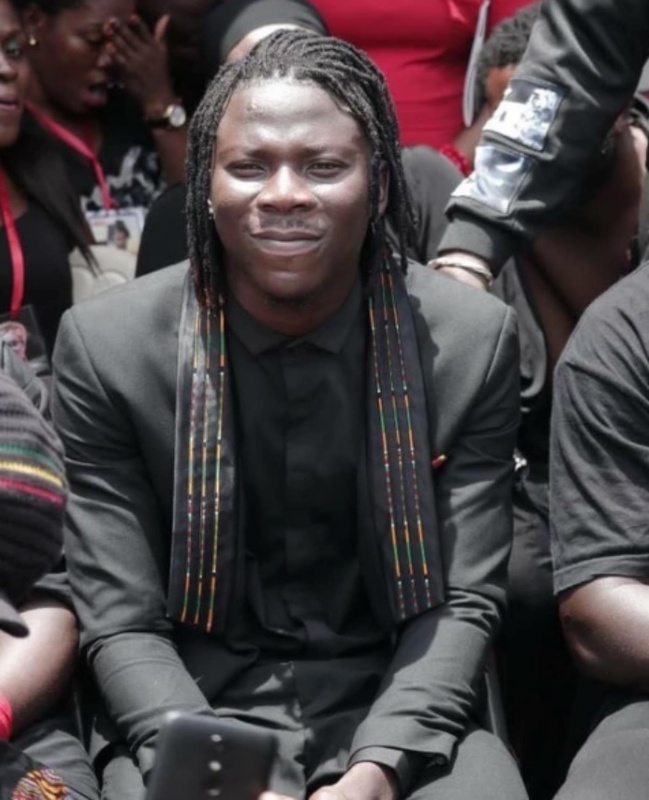 Blakk Cedi, manager of BHiM Nation president, Stonebwoy has broken his silence after the unfortunate incident which happened at the Sakasaka Park on Saturday, September 30, 2017 at this year’s ‘Ashaiman To The World’ concert. 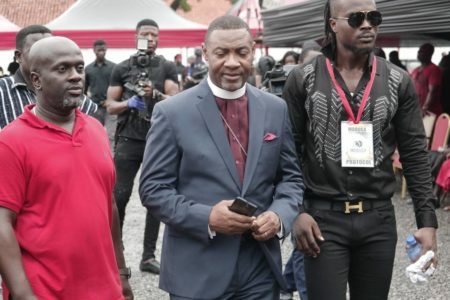 After several reports on the incident hit the Internet, most people blamed the obvious security breach on Stonebwoy’s management but head of Stonebwoy‘s manager thinks it is not necessary to point accusing fingers at this time. 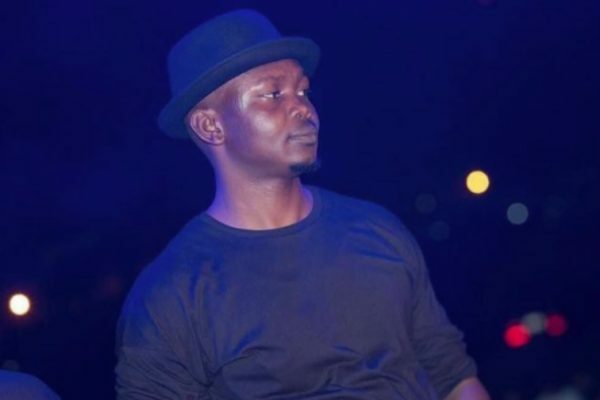 The artist manager real name Mohammed Sidi is not happy about the public blaming Zylofon Media, Stonebwoy’s management and security men who were present at the event for the misfortune. 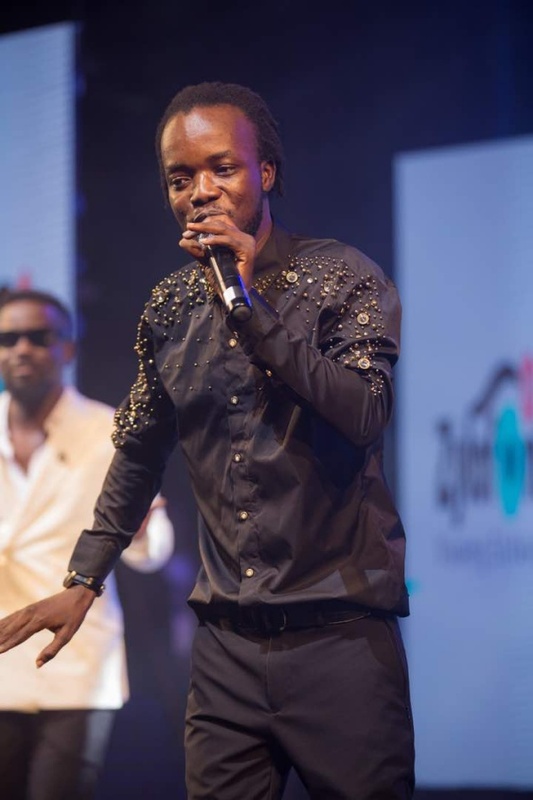 Blakk Cedi poured his heart out on social media this morning, saying the unfortunate incident is just an accident and not an attack on anybody’s life. “IT IS UNFORTUNATE THAT SOME ON SOCIAL MEDIA CHOOSE TO BLAME THE MANAGER, ZYLOFON MEDIA,SECURITY STAFF AND THE TEAM AROUND, BUT I HOPE THAT THEIR ASSERTIONS WILL NOT SOW ANY SEEDS OF DISCORD AMONG US. I FEEL THAT WE HAVE A VERY LOYAL AND SUPPORTIVE STAFF AND I PRAY THAT THE TEAM WILL REMAIN COHESIVE AND THAT NO DISHARMONY WILL STEM FROM WHAT HAPPENED TO OUR QUEEN. I WANT TO BELIEVE THE INCIDENT THAT HAPPENED AT THE VENUE WAS AN ACCIDENT RATHER THAN SOMEONE TRYING TO ASSASSINATE OR STAB OUR ARTISTE.IT WAS ALL LOVE ON THE NIGHT AND ALL THE NUMBERS WERE PRESENT BECAUSE OF STONEBWOY. 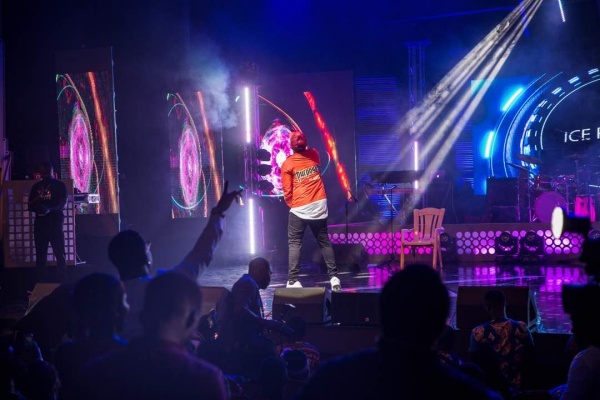 The incident happened few minutes before he stepped stage, when an unknown assailant who tried to attack Stonebwoy missed his target and cut Louisa, Stonebwoy‘s wife. His wife Dr. Louisa Ansong has been hospitalized and currently receiving medical attention.